We are week three into the new “future of the WWE,” Daniel …. ahem, I mean WWE Champion Randy Orton’s reign; will his dominance over his challenger, Daniel Bryan, continue tonight? Rob Van Dam continues to frustrate his opponent for Night Of Champions, World Heavyweight Champion Alberto Del Rio. Does it stay this way, or will the “Mexican Aristocrat” come back with some momentum thirteen (my favorite number) days before the pay-per-view? Divas Champion A.J. Lee blistered the Divas last week with what many were calling a “bombshell” promo. What will they have to say in return, and will one of them step up to challenger her for the title? 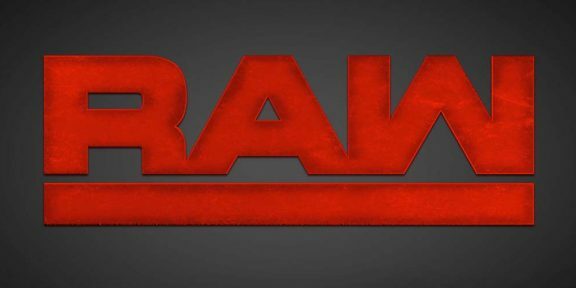 All these major stories and much more for Raw, so read on! Instead, the C.O.O. insists that he will bring back either the Cruiserweight Championship or the Light-heavyweight Championship, because those are the belts that Bryan could go for. The man himself comes out to respond. He puts over the fans for constantly chanting his names and makes fun of Orton and HHH, saying they both gave up their dignity. (Orton not caring about the WWE Championship until he was “handed” it; Triple H being no longer being a “man” and now being a “corporate sell-out.”). He then says it is the times he was told he can’t do it, when wrestling in high school gyms, that have made him stronger and knows he can beat Orton for the WWE Championship. Bryan tells Triple H that he knows it too, and should just put him one-on-one against Orton. He goes to insult the WWE Champion “Attitude-Era” style but is quickly cut off by HHH. Triple H tells him that Bryan should really be angry with The Big Show, since he did nothing to help Bryan on Smackdown, despite having an “iron-clad contract.” HHH then books Daniel to wrestle Show in the main-event. Later tonight, C.M. Punk will give his thoughts on the beating he took from Intercontinental Champion Curtis Axel and Paul Heyman. HHH diffuses his idea, and says that Big Show/Daniel Bryan is what’s best for business. He then gives Rhodes a match – against Orton – and threatens “I doubt you’ll be here very long” if he doesn’t win. Miz is in control early with a high-hip toss and tries a grab at Fandango’s legs, but he wiggles out of the ring. He slams Fandango against the barricade and rolls him back in the ring, then dances with Summer Rae on the outside. Back in the ring, he locks Fandango in an armbar, but is shoved quickly into the corner. Miz gets out of this quickly and takes Fandango down with a boot-to-the-face. He clamps on a grounding rear chinlock to go to break. Fandango is now dominating and whips Miz hard into the turnbuckle. He apparently has a broken nose from that boot by Miz. Fandango places him against the middle rope and allows Rae to slap him across the face. Fandango climbs the turnbuckle, but Miz hurls him off. He tries for the Figure-4, but Fandango kicks him off. Miz misses his corner clothesline, which Fandango capitalizes on with a slingshot-legdrop. Miz quickly counters and locks in the Figure-4 to get the submission victory! Up next, we will look at the brutal assault on C.M. Punk from last week. Daniel Bryan is warming up when Booker T. walks in. He demands to talk to Bryan and warns him that going against the McMahons is a “fight you cannot win.” He tries to convince Daniel to give up his title shot because they are “people that could ruin your life.” Bryan just shakes his head and walks away. A montage recapping the extreme (pun intended!) assault of C.M. Punk by Intercontinental Champion Curtis Axel and Paul Heyman is aired. Dolph Ziggler makes his entrance and will be facing a mystery opponent next! Match #2: Single – “The Show Off” Dolph Ziggler VS. ??? Dolph is waiting for his opponent when Ambrose viciously attacks Ziggler from behind. He chucks Dolph into the ring post, then Ryback’s music plays and the “bully” walks out. Ryback is the one to wrestle Ziggler. The bell rings and Ziggler tries to fend off the big man with an elbow, but Ryback just tosses him over head then pounds away with punches. Ryback completely dominates this bout, with stomps and chokes. He taunts Dolph then shoves him to the mat. “Dolph, done” he proclaims then winds up for the “Meathook” clothesline. Dolph comes alive with a dropkick counter and punches in the corner, but Ryback quickly puts him back down with the Clothesline and Shellshock Samoan Drop for the 1 – 2 – 3! Justin Roberts welcomes Stephanie McMahon, the Executive Vice-President Of Creative, to the ring. 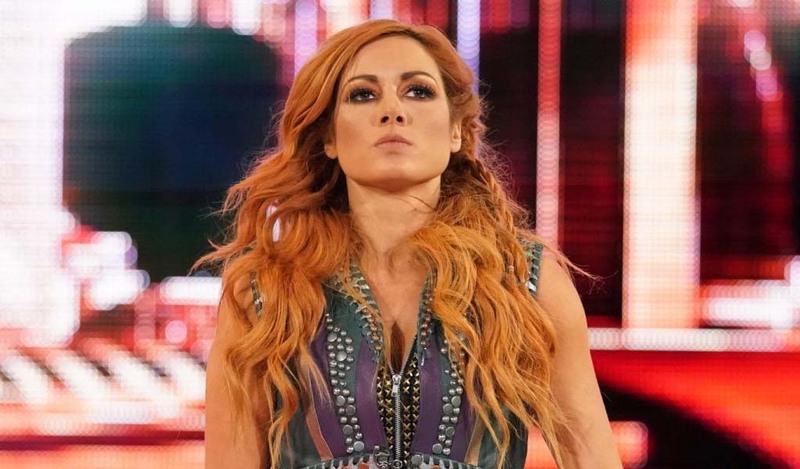 She brings out a man she claims helped her around the backstage area when she was younger, growing up in the locker room. That man is also the one going against his planned match, The Big Show. The 7-Footer walks out and embraces her. She confirms his wishes, then says that he himself said to go against something you wouldn’t want to do, as long as you were prepared to pay the consequences. Stephanie reveals those consequences for Show, saying that he is completely broke, money-wise, and completely broken down. She says his “iron-clad contract” only applies when he performs when he is supposed to. She lays out all the horrible scenarios that could happen if he refuses, from lost job to down trodden status to death since giants usually don’t live as long as most. McMahon says he is not only hurting himself and his family, but “me.” She gives him a hug then walks to the back. The WWE App caught Big Show throwing a tantrum and destroying backstage equipment in commercials. Titus and Slater start out, with Heath throwing a sucker punch and taunting O’Neil with his own pose. Titus doesn’t take too kindly and kicks away at Heath in the corner, then blows his whistle while doing so! He tags in Darren, who delivers a double-elbow with Titus. Slater back in and clamps on a grounding chinlock, then soon switches with Jinder and switches back. Young headbutts out of another headlock, then gives him an overhead suplex. Titus is tagged in and runs over Mahal, tossing him with a fall-away slam. O’Neil is wound up and almost gets the duke with a big-boot, but Slater broke up the attempt. He manages to come back with the “Clash Of The Titus” sit-down-spinebuster and the win! Much like last week, “The Wyatt Family” cut a promo, with Bray sitting in a rocking chair and Erik Rowan & Luke Harper standing behind. Cody enters the arena and prepares for his monumental match against WWE Champion Randy Orton. Match #4: Single – Cody Rhodes VS. WWE Champion Randy Orton Stipulation: Heavy speculation that Cody Rhodes may not keep his job if he does not win. They circle around each other then begin with an elbow/collar tie-up. Orton elbows away at Cody in the corner, but Orton fires back with kicks. He is quickly put down with a clothesline and hanging suplex on the ropes. Orton slams his head against the top turnbuckle, then chucks him out of the ring. He goes for the steel steps, but Rhodes reverses and rams Randy head-first into the steps. In the ring, they reverse each other’s Irish Whips, and Orton is back on top. He punches Cody in the corner, but Rhodes pushes him down and flattens him with a front-suplex. Cody now gives Randy the punches, but Orton slides out and drops him with his backbreaker. Rhodes ends up on the outside. Against the barricade, Rhodes is angrily stomping away on Orton, but Randy gets control again and slams him on the corner of the wall. He puts Cody back in the ring. He gives Cody kneedrops, then locks on a grounding rear chinlock. Rhodes battles out of it, hitting an elbow then dropping down with an uppercut. He uses the ropes to springboard dropkick and get a near fall! He nails the springboard Disaster Kick, 1 – 2 – Orton kicks out! The crowd is behind Rhodes, who leaps off the top rope with a moonsault but misses! Randy tries a cover but Rhodes is still going. Orton plants Cody with the slingshot-DDT, and gears up for an R.K.O. “The Viper” hooks Cody, but Rhodes reverses into the CrossRhodes! 1 – 2 – Orton still gets the shoulder up! Orton also kicks out of a close roll-up, then ducks another Disaster Kick and finishes Cody and this bout with an R.K.O.! Post-match, Orton poses on the stage with his WWE Championship when C.O.O. Triple H walks out. He gives Randy a pat on the stomach, then gives Rhodes his props. “You went all in, you fought like your life was on the line.” However, he says that it is business, then tells Cody, “you’re fired.” Cody hobbles out of the ring, looking upset and dismayed. The crowd gives him the “thank you Cody” chant, as well as his name, while he walks up the ramp. C.M. Punk is now out to presumably talk about last week’s confrontation. “I promise. And those are two words that unfortunately don’t mean a whole lot to a lot of people, but they still carry weight with me.” Punk is welding a kendo stick, the same one used to punish him. He says that even though he has his attire on, wrestling is not on his mind. “13 days, 13 days at Night Of Champions, I guarantee that I’m going to get past Curtis Axel. And then I guarantee, I guarantee I’m going to get my hands on Paul Heyman.” // “There’s a lot of people that are going to be very uncomfortable with what happens to Paul Heyman at Night Of Champions. I know Paul Heyman’s not going to like it. Last week, he said I broke his heart. At Night Of Champions, I’m going to break his face. I promise.” Punk drops the mike and holds the kendo stick close to his face, gleefully. The same video from earlier replays last week’s attack. A replay of part of Divas Champion A.J. Lee’s rant on the Divas Roster is aired. Naomi hits a high dropkick, but then gets rolled up by Natalya for a two. Later, Naomi tries a sunset flip on Brie, but Natalya breaks it up, then attempts The Sharpshooter. Naomi hits her “Rear View” move but the pin on Natalya is broken up by A.J. The Divas Champion runs in and causes a melee, since the rest of the Divas hone in on her and take her down. A lock up and waistlock by Rob starts, but Sandow puts him in the corner early with kicks. Van Dam comes back with slugs and kicks, but gets powerbombed out of a hurricanrana attempt. 1 – 2 – R.V.D. kicks out! Van Dam counters an attempt from Sandow with a kick and leg scissors roll-up for two, but gets booted-in-the-face back by Damien. He locks on a chin/armlock, but Van Dam works his way out. He counters another move with another kick, then springboards out of the corner with a kick. His opponent, World Heavyweight Champion Alberto Del Rio walks to the stage and distracts Van Dam, allowing Sandow to put him to the outside. Sandow has Van Dam in a grounding rear chinlock, then clubs away on the back of his neck. He plants him with a backdrop, then goes back to the chinlock. Sandow brings him down with a side Russian legsweep, then drops the “Elbow Of Distain” for two two-counts. Ricardo is hammering the mat, trying to give Rob momentum. It begins to work in a bit, as Van Dam counters with an inside cradle, then kicks Sandow a couple times. He hits the Rolling Thunder somersault, but gets rolled up for a near fall by Sandow! Van Dam eventually does get this, with the 5-Star Frog Splash! Post-match, R.V.D. and Rodriguez glare at their nemesis, World Heavyweight Champion Alberto Del Rio. While in commercial, Naomi, Natalya, and Brie Bella complain to Stephanie about A.J.’s interference. She makes amends by giving them all the title shot, booking a Fatal-4-Way for the Divas Championship at Night Of Champions. Security is escorting Cody Rhodes out of the building when Josh Matthews walks up and asks him about his match. He unleashes anger at the McMahons for their supposed “hatred” of the Rhodes Family, from his father Dusty being placed in polka-dot outfits after a previous stellar career in Florida, to his brother turning into Goldust following a “natural” gimmick. Matthews asks Cody if he has anything to say to his wife, but he just storms out the door. WWE Superstars make their way to the stage for the main-event. Show stalls for a bit, but Bryan wants to go at it and jumps at him with a few kicks and punches. Show grabs him and yells “don’t make me do this.” He hurls Daniel out of the ring, but Bryan fires back with a dropkick-to-the-knee and a few more kicks after that. He nails a couple dropkicks in the corner, but Show comes back with a big-boot of his own. Daniel comes back again with low kicks, but is pushed down by Show. “Stop fighting, just stop Daniel. I’m being forced to do this, I don’t want to do this to you. Don’t make me do this, please.” Bryan continues to fight, but Show still won’t have it. Daniel hits him in the knee again with a low-dropkick, then kicks away, but gets caught before the final one to Big’s head. Show tries a Chokeslam, but Bryan counters into a DDT. He ascends the top rope, but Show meets him with a mid-air headbutt/spear! Show signals for the knockout punch, but instead walks over the top rope. Just as it looks like he may purposely get counted-out, “The Shield” and Triple H march out. HHH orders him to “get back in that ring and finish it.” Show defies and walks away. “The Shield” slide in and attack Bryan three-on-one, causing a dq. Post-match, Big Show begins to chase off The Shield before Triple H cuts him off and tells him “don’t make me do this. Paul, you know I don’t want to do this.” The Shield then triple-powerbomb Bryan, as Show looks on in agony and struggles with his conscience. “The Game” orders Show to knockout Bryan with the punch. Show walks away with Stephanie and Triple H, then WWE Champion Randy Orton appears. 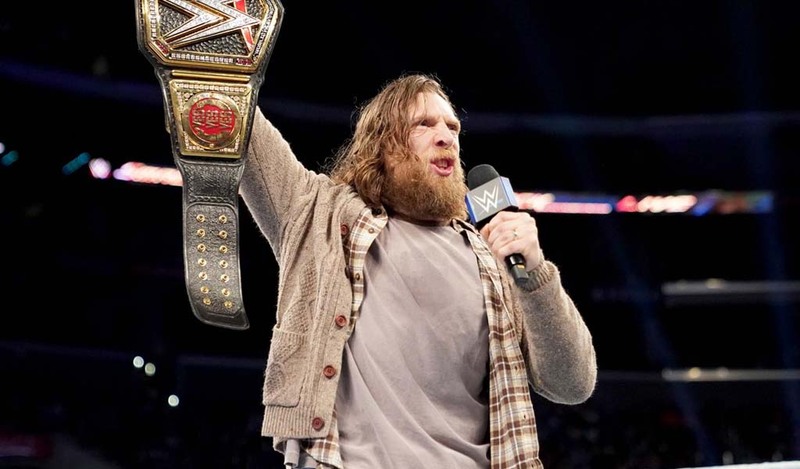 He gets in the ring, places one foot on a laid-out Bryan, and holds his WWE Championship high to close the show. A so-so Raw for this week. Definitely VERY promo-heavy. Felt a little rushed too. Onto the particulars. Excellence: Opening promo – Triple H is good at sounding very “corporate”//almost boring, feeding the political line, and Bryan was awesome with his passionate response of his devotion to wrestling, his quest for the WWE Championship, and love of support form the fans. Fandango/Miz, “Prime Time Players”/”3.M.B.”, Sandow/R.V.D., Orton/Rhodes, were pretty great to fantastic bouts. Even though he lost, it was nice to see Sandow get some decent offense in and not be “rolled over” by Rob Van Dam, like R.V.D. has recently been doing to his opponents, especially since Damien holds prominence with the “Money In The Bank” briefcase contract. ‘The Wyatt Family” promo, of course! Again, they can do no wrong. Same with C.M. Punk – again this week, full of passion and the most realistic-esque storyline on the cards right now. This could go on until or past Wrestlemania, and I’d be happy because of who is involved that can come up with creative ways to keep it moving interestingly! Loved Cody Rhodes’ lashing out before he exited. Not sure about the entire angle – it will be intriguing, but this is definitely a Rhodes I like to see – much like Punk, passionate and fed up with the “corporate politics.” Just wants to wrestle and be champion. Bogus: Even though he played his role very convincingly, I’m not a huge fan of the Big Show storyline. Something about it isn’t clicking right now. As mentioned before, why is Brad Maddox General Manager when he is making very little decisions? Isn’t that his job? Yet, he either gets them made for him, or overruled. Makes no sense right now. Still not liking the new Ryback; and will continue to rant that The Shield should NOT be holding their championship titles right now, especially since they’re just “security” half the time! I did not like all the Divas beating up A.J. at once. I felt it killed her momentum after the epic oratory from last week. Hopefully she will rebound and take a few of them out next week, prior to Night Of Champions, to regain steam. Where was Christian? They need to find a new program for him fast – hopefully a high-calibre one! 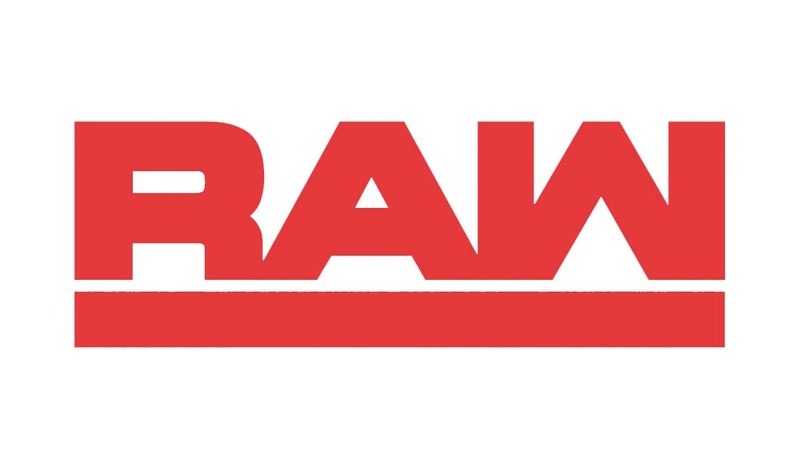 All-in-all, a decent but much more lower-quality Raw. Next week’s the go-home show for Night Of Champions, and from Toronto, Canada, so should be much better and super-interesting! Looking forward, especially the announced return of Hall-Of-Famer, Edge! Plus, my picks for the pay-per-view! Until then, as always, Be Excellent Wrestling-Online Readers and Wrestling Fans!